This article was inspired by a number of different sources: an excellent thread on RPG.Net, the innate simplicity of the S&W White Box rules and (of course!) 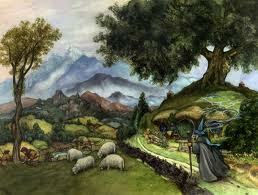 the amazing universe created by Tolkien in The Hobbit . That’s the important distinction here: Burrows & Dragons is a small attempt to simulate the elements within The Hobbit, not in Lord of the Rings. Orcs, wood elves, mountain giants, lost troves of magic items, riddle-loving dragons, greedy dwarves, stupid ogres…err, I mean… trolls, “professional” thieves, wizards (not Istari)… all these elements are in. 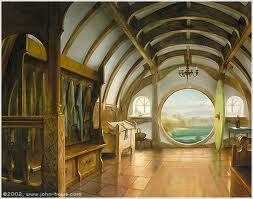 The One Ring, Sauron, Noldor, the Maiar – among other things – are out. I feel that S&W (and OD&D) is perfect for this adaptation, although I borrowed some modern design material for the Tricks & Cunning mechanics (again stolen from the RPG.Net, especially from Benjamin “Bailywolf” Baugh’s great ideas). All the references below are for the S&W White Box rules. Ability Scores: Only Fighters get Strength bonus to hit and damage rolls. Classes: I’m using fighting-man, magic-user, elf, dwarf and halfling (or hobbit). Of these only the elf class deserves additional explanation. Elves in B&D use the cleric’s advancement table (XP, HD, Spells and Saving Throws) and saving throw bonus (+2 against poison and paralysis), together with the White Box elf’s abilities hereditary foes, keen detection and languages. The B&D elf uses the cleric spell list and all his spellcasting is based on songs. I’m doing this alteration because 90% of the cleric’s spells easily fit the “white magic” feel of elven magic (dealing mostly with healing and protection). Turning undead is now a first-level cleric spell. The B&W elf class (and every other classes, see the next rule) can use any type of weapon. Class Based Weapon Damage: Use this excellent variant from the Akratic Wizard. The type of weapon used isn’t important (except if it is a magic weapon) as we see even Gandalf (a magic-user) wielding a sword. Hit Points: They’re really an abstract mechanic here, a combination of vigor, morale, luck and the blessings of the Good Powers and the Woods (that’s why, after all, elven magic “heals”). To better represent this, I suggest three new rules. First: if you declare – before rolling Initiative – to be protecting someone, then all attacks that hit your charge deal damage instead to you (if you’re adjacent to him). This rule can also be used with mounts, followers or animal companions. 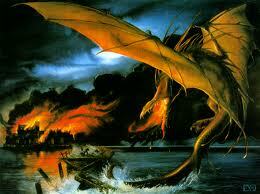 This also helps “heroic sacrifices”, a fitting theme for Tolkien’s world. Second: HPs recovery. If you’re below ½ your HP total, follow the normal rules. If you’re above that mark, you recover 10 hit points after a good night of rest or a feast (accompanied by good music). Special locations (like Elrond’s House) allow you to recover 10 hit points always, doesn’t matter how badly wounded you’re. Third: morale. Once per battle, one player character can attempt to motivate his companions with a song or inspiring words (this requires an action). The result is that all listeners recover 1d4 hit points (you may add +1 if the character’s Charisma is 15+). If a powerful enemy is near the Gamemaster may require a Charisma check. 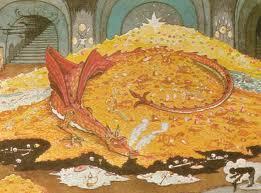 Thievery: Because of Bilbo, I believe that there should be some subsystem for specialized or professional “work”. Instead of a thief class, I’m using Lord Kilgore’s Thievery rules (of which I’m great fan). The fact that they use solely d6s is definitely a bonus. You can find them here. Tricks & Cunning: Ok, this is where I’m putting my life at risk (to Old School standards at least). All character in B&D possess to ability to use tricks, cunning words and a little cajoling to survive an encounter. This tactic should be as valid as any other action, like attacking or casting a spell (and that’s why I’m putting a mechanic for it). In The Hobbit we see Gandalf using this trick against the trolls and Bilbo using a similar tactic against Smaug himself. Cunning should then be a compelling mechanical option (what it shouldn’t do is to replace good roleplaying and dialogues). In fact, I would suggest a ruling for employing T&C tactics: the player must always roleplay the action and the Gamemaster is entirely free to grant a bonus of +1 or +2 for good acting (but never a penalty). All characters possess a Tricks & Cunning value (or T&C bonus). Fighting-man and dwarves have +0; magic-users and elves start also at +0, but gain a +1 bonus at 5th level and then +2 at 10th level; hobbits have +1 at 1st level, increasing to +2 at 6th level and +3 at 10th level. A Charisma of 15+ adds +1 to your T&C, while a value of 8 or less imposes a –1 penalty. Thievery adds another +1 at 4th level and a +2 at 9th level (so, if you’re a hobbit with thievery and Charisma 15+, you can reach astonishing +6 at 10th level, enough, maybe, to deceive the Necromancer). Misleading: The target of a successful confusion or misleading attempt will stand fascinated or mentally stunned for some time (a good rule of thumb is 1d4 minutes/combat rounds), probably repeating some type of action it was already engaging; or just stand still musing and ruminating. It will not ignore a visible foe or eminent danger that it’s aware of; it will not act suicidal. Flattering: The target of a flattery attempt would probably see the player character in a new light. It will not change its original intention (more roleplaying is required for that), but it can accept a little delay or change of plans (for example: instead of killing right now the player character, it can kept him as a slave or take him to its lair, to properly cook the “helpless” adventurer). A T&C check is very simple: roll a 1d20, add your T&C total bonus. If you’re trying to lie to the target, you must score equal or higher than his Intelligence score; if you’re trying to confuse him, use his Wisdom; if your intention is to flatter him, your target number is his Charisma. Powerful monsters (HD 9+) inflict a –1 penalty to any T&C check. A special rule (taken from the Doctor Who RPG ): if you declare a T&C action, you always go first in the initiative order. You “talking” attempt always trumps physical actions. If multiple targets are going to use T&C, the talker with the higher Charisma goes first. Now a special limitation: you can attempt only one type of T&C check against the same target per encounter. For example: you can try to lie only once to a goblin in an encounter; if you fail, you can attempt either to cajole or mislead him. After your first failed T&C check, further checks suffer a –1 cumulative penalty. If you meet the goblin another day, these penalties are removed (unless the Gamemaster rules otherwise). Common sense (as always) overrules any T&C mechanic. If a player character attacks an orc and, in the following round, attempt to flatter him, he’ll obviously fail. Player characters of 9th level or higher should impose a –1 penalty in any T&C done against them. An Optional Rule: In the normal system above even player characters can be the target of T&C “attacks”, though usually only major NPCs possess such skills (or think about implementing them). If you believe that this is too heavy for your group, I suggest giving them an “ablative” armor against these “social attacks”. A player character can ignore 1 T&C check (before it is rolled) per game session if he has either Intelligence or Wisdom 15+. If he sworn an oath, he can ignore an additional T&C check provided that it goes against his oath. For example, “I shall never again doubt a dwarf” will imply that any attempt to convince this player character that a dwarf is lying is doomed to fail. Any player character can only have one oath at a time and he should always follow it completely – if he fails to do it, he can never sworn another until he atones (Gamemaster’s call). The player character must declare his intent to ignore the T&C attack before it’s rolled. An ignored T&C attempt is treated, for all effects, as a failed check. 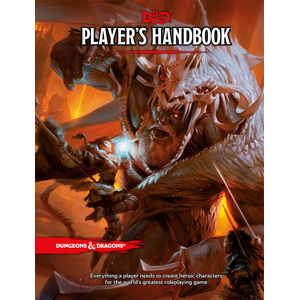 Another Optional Rule: Any powerful monster or villain (a dragon, an orc-king, the Necromancer) can, once per encounter, attempt a unique Dark Will check. This is a special T&C “attack”, only available to Greater Evils and important monsters. The monster rolls a 1d20 + 1 for every 5 HD it haves. If the check exceeds a player character’s Charisma, his morale is severely shaken and his will is diminished by the monster’s presence. Reroll that character’s Hit Points, but use only d4s. The result is the number of Hit Points possessed by that player character until he leaves the presence of the villain (if the result is higher than the present HP total of the character, just remove 1 HP for each full HD possessed by the player character – to a minimum of 1 hp). Spellcasters so intimidated by Dark Will can’t cast spells against the responsible villain. Dark Will can be attempted only once per adventure. If the Gamemaster allows, a 9th level character can attempt to counter a Dark Will attack, saving his ally, by losing his next action and succeeding at a Charisma check. Ladies and gentlemen… we have a (psionic) winner! Since reading (and playing) with a psionicist from the Complete Psionics Handbook , by Steve Winters, for AD&D 2nd, I’ve being a fan of those weird pseudo-scientific, pseudo-eastern powers. I was specially influenced by Terry Dykstra’s illustrations, with their Persian/Indian flavor, which had an enthralling effect upon me at the time, fixing in mind (no pun intended) psionics as esoteric and mysterious arts instead of “science fiction powers” (as I believe they’re commonly seen). Together with a unique rule system (that it has its flaws, I know…), the Complete Psionics Handbook (CPH) showed me that there’s always room for new and different ways of exploring the fantasy genre. Later, that initial reaction also taught me that I don’t have patience for “different” systems that are, in the end, just the same thing with different names (or by adding the “psionic” word to it). I’m not saying that I’m against effect-based RPG systems. What I believe is that if a game designer doesn’t want a new subsystem, he should be sincere about it, like Monte Cook’s cool take on psionics with his mind witches (from Arcana Unearthed ) or Jason Bulmahn’s proposed slot-based psionic system for Pathfinder (from the Paizo boards). Both authors were since the beginning very straightforward about their intentions. Although I like the Expanded Psionics Handbook (and its predecessor Unleashed Psionics), I can’t shrug off the feeling that there was a certain degree of “design laziness” behind it (yeah, I know the original author later commented about the existence of a preliminary feat-based system, but that doesn’t change anything). Because of my love for all things psionics, I’ve being searching for a cool psionic system of choice for my (I hope) future Old School games. While Old School Psionics is mechanically more traditional and easy to use, I was impressed and pleasingly surprised by Courtney Campbell’s Psionics (with contributions by Nathan Lord). It had enough elements in common with the system of the CPH to drawn my attention and it even removes some balance issues from the later. It’s an amazing work, particularly if you take in account that is was done by a fan and for free (unlike Old School Psionics). 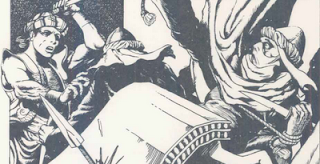 For these totally arbitrary reasons, Psionics is now my way-to-go for mind powers in Old School games (the fact that some of its illustrations pay homage to the CPH is a bonus). So, that’s it. If you’re interested in psionics and Old School, please, take some of your time and check this beautiful supplement. It’s a dense read, but it is also totally worth of your attention. Now, to stop a violation of the The Joeskythedungeonbrawler Protocol, I’m going to post some thoughts about a (very) polemic subject: psionic combat system. This was one of the features of the CPH that most appealed to me (it was, after all, different) and while it wasn’t properly balanced, at least you can say that it’s still more viable than the crippling psionic combat system found in the Psionics Handbook, for D&D 3.0 (that the author tried to correct in other two products, from Malhavoc Press, without much success). 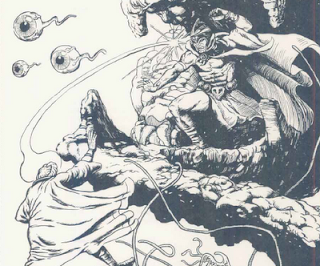 The system was later dropped from D&D, with its power attacks and defenses incorporated as normal psionic abilities. Many were relieved by that, but I thought that we saw another episode of “design laziness”. It would have been better, in my opinion, to have provided a new (and viable) psionic combat subsystem as an optional rule. So, I tried to add a Psionic Combat System to the Expanded Psionics Handbook/Unleashed Psionics mechanics (which I’m still using, because I didn’t found an easiest way of doing it). Basically, I plucked some ideas from the CPH, like tangents. It’s far from perfect, but my player so far haven approved it. As always, any feedback is appreciated. Basic Premise: All psionic creatures are especially protected against psionic mind-effects (nonpsionic beings have their Will saving throws and other normal protections). They are said to have closed minds. To affect a closed mind, its defenses, called tangents, must first be brought down. This is done through psionic combat. Closed Mind: Psionic creatures have closed mind and thus cannot be affected by any telepathic psionic power. Mind-affecting effects from other sources (like spells or spell-like abilities) affect a psionic normally (although psionic defense modes can help a little). Open Mind: Nonpsionic creatures and psionic creatures defeated in psionic combat have open minds and can be normally affected by telepathic powers. In fact, psionic creatures with open minds are especially vulnerable because their natural defenses were disabled. In this delicate state they resist against telepathic powers using only their Wisdom modifiers. Psionic Attack Modes: These attacks are used to break open a psionic mind. Each psionic attack mode removes e certain number of tangents. Each psionic attack mode has two effects; the first one removes tangents and the second affect only open minds (like nonpsionic creatures). Psionic attack modes use against closed minds require less finesse and concentration and can be manifested as move-actions. Psionic Defense Modes: These are natural mental defenses, possessed by any psionic creature. Without them, a psionic creature is very vulnerable to mind interference (i.e. they use just their Wisdom modifiers on Will saving throws). Each defense mode requires an immediate action to be activated, always as a reaction to a mind-effect (even if the psionic creature is unaware or flat-footed). Tangents: Tangents are the name of the mental layers that protect the brain of a conscious psionic creature (i.e. that keep his mind closed). Now, one of the most important aspects of tangents: they’re always numbered in relation to a specific attacker. Psionic combats are, essentially, duels. This means that even if Hosni opened Gustafa’s mind through psionic combat, his ally Raji couldn’t attack the mind of Gustafa. He also must break through the psion’s defenses. An example: Let’s suppose that Gustafa (Wis 20, +5 mod) has 6 tangents. After a few rounds of psionic combat between him and Hosni, his number of tangents is reduced to 2. If at this moment, Raji enters the battle and also attacks Gustafa’s mind, but he must destroy 6 tangents, not 2. Joining Forces in Psionic Combat: The restriction that limits psionic combats to duels can be ignored by following the same rules found in “Manifesting an Unknown Power from Another’s Powers Known”. If two allies are touching each other and spend 1 full-round action to establish mental contact (Spellcraft DC 20) between them, they can attack and breach together a enemy’s mind. In the example above, if Raji spent 1 full-round action in mental contact with Hosni before starting a psionic combat, he would find Gustafa’s mind with just 2 tangents. Number of Tangents: All psionic creatures have a number of tangents equal to their Key Ability Score modifier + 1 (minimum 1). The Key Ability Score modifier is the ability score used by that psionic creature to manifest powers (if he has more than one ability score, he must choose one). Some psionic monsters may have an extra number of tangents. Breaking the Last Tangent: If a psionic attack mode deals more damage than the number of tangents possessed by the defender, he must make a new Will save against the last attack mode used or suffer its full secondary effects. Exceptionally, he can use his normal Will save bonus against this penetrating attack. Dominance: The psionic opponent responsible for breaking the last tangent gains what is called dominance (and is usually called dominator). He steals a number of power points from the defeated adversary equal to his Key Ability Score modifier. If the adversary doesn’t have enough PPs left, he suffers the excess drain as temporary damage to his Key Ability Score modifier. Holding a mind opened: Once opened, keeping dominance requires concentration and range. The dominator must keep within 300 ft. of the defeated. The dominator can’t pinpoint the adversary’s location, but instantly knows when he leaves the area. Recovering tangents: Once a dominator stops concentrating, the psionic creature instantly recovers all his tangents. The only exception is when he is completely depleted of PPs after his mind is opened. In this last case, the psionic being is totally vulnerable until he recovers at least 1 PP (or rest for 1 hour, whichever comes first). All psionic attack modes work at 90 ft. of range and require line of sight. Each has two effects: the primary one removes tangents, the secondary affects open minds only. The primary effect requires a move-action to manifest, while the secondary requires a standard action. All the effects below supposes that the target failed a Will saving throw. 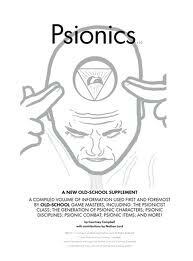 Psionic classes gain one attack mode at 1st, 5th, 9th, 13th and 17th levels. Psionic monsters should have as many attacks modes as the Gamemaster finds satisfactory. Psionic attack modes can be resisted with a Will saving throw. 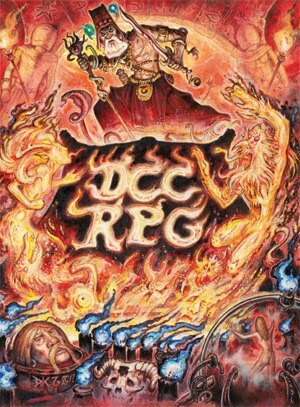 The DC is 10 + ½ manifester level + Key Ability Score modifier. All psionic attack modes ignore Psionic Resistance. Secondary Effect: The target loses a number of PPs equal to the highest power he can manifest (if psionic transparency is used, spellcaster lose their highest spell slot). Cost: This is the most simple attack mode and can be manifested simply by spending the psionic focus. If used against open minds, it cost 1 PP. Secondary Effect: For 1 round per manifester level the target can’t benefit from any morale bonus (and can’t rage). The target’s also shaken and suffers a –4 penalty against fear. Primary Effect: 1d2 tangents (and ignore any Mental Hardness). Secondary Effect: Target is confused. Duration is 1 round per manifester level. The target also loses the ability to communicate or interact with others and to differentiate one creature from another. Secondary Effect: The target suffers 1d6 non-lethal damage in the first round. Each round that the manifester keeps concentrating increases to damage by +1d6. Duration is concentration, to a maximum 1 round per manifester level. Cost: 3 PPs. This is the only psionic attack mode that can be augmented. For each 2 PPs, the damage starts +1d6 higher. Secondary Effect: The target’s HPs are “blocked”. The total is 10 hit points per manifester level or half the target’s total HPs, whichever is lower. Treat these “blocked” HPs as a special fixed nonlethal damage. They remain “blocked” for 10 minutes per manifester level. A target can only be affected by one psionic blast. Spells like lesser restoration remove these “blocked” HPs. *This attack mode can be chosen only by characters with at least 10 levels in a psionic class. If you believe that the psionic attack modes, as written, give too much punch to psionic classes, I recommend giving a +2 bonus to all Will saving throws of nonpsionic creatures against psionic attack modes. Psionic defense modes require an immediate action to be activated and are always used as reaction to a mind-effect. They can be used even if the psionic creature is unaware or flat-footed. Each has two effects: the primary one grants Mental Hardness against the attack mode’s damage. Any mental damage must first bypass this Mental Hardness before any tangent is removed (minimum 0). The secondary affects works against nonpsionic mind-effects (like spells). Psionic classes gain one defense mode at 1st, 5th, 9th, 13th and 17th levels. Psionic monsters should have as many attacks as the Gamemaster finds satisfactory. All psionic creatures gain Empty Mind for free at 1st level, doesn’t matter which class. If they pick a psionic class, they choose a second defense mode. Against nonpsionic: This defense grants a 20% of mind concealment against one mind-effect. That means that this effect has 20% of not working on you. Cost: This is the most simple defense mode and can be manifested simply by spending the psionic focus or paying 1 PP. However, it has one special requisite – it doesn’t work if your mind is open. Against nonpsionic: Activating this defense grants a +1 bonus on one Will saving throw against a mind-effect. Cost: This is the most simple defense mode and can be manifested simply by spending the psionic focus or paying 1 PP. Against nonpsionic: Activating this defense grants a +2 bonus on one Will saving throw against a mind-effect. Against nonpsionic: Activating this defense grants a +3 bonus on one Will saving throw against a mind-effect. It also allows you to ignore any partial effect on a successful save. This defense mode is special in that it affects all allies inside a 10 ft. radius around the manifester. Mental Hardness: 2. This hardness value is stackable with other defense modes activated in the area; the exception being other towers of iron will. Against nonpsionic: Activating this defense grants a +2 bonus to all Will saving throws against a mind-effect made inside the area until your next turn. It also allows all targets to ignore partial effects on a successful save. When any character declares that he’s starting psionic combat mode, he must select a target and chose – secretly – an attack mode which he possess. The target – also secretly – picks a defense mode. Both then reveal the chosen psionics modes and check the table below. The number shown is a modifier applied to the attacker’s DC. If he fails, he suffers the primary effect of the attack mode (and if the attack penetrates and opens his mind, he must make a second Will saving throw against the psionic mode’s secondary effect). Because I’m using the old names to most attack and defense modes, it’s necessary to change the name of the official powers from the Expanded Psionic Handbook, to avoid confusion. Below are all the necessary updates. Mind Thrust is now called Mind Scourge. Ego Whip is now called Erode Will. Id Insinuation is now called Mindbreak. Psychic Crush is now called Psychic Onslaught. Empty Mind is removed as a power. Thought Shield is removed as a power. Mental Barrier is now called Kinetic Shield. Intellect Fortress is now called Ablative Dome and it reduces only physical and energy damage. Tower of Iron Will is removed as a power. 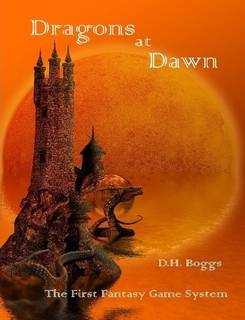 Dragons at Dawn, by Daniel Hugg Boggs, is a retro-clone built upon the material, notes and even hints left by Dave Arnerson about his home campaign, which helped Gary Gygax to create the world’s first RPG. It’s unnecessary to point but Dragons at Dawn (or D@D) is about the deepest roots of our hobby (which the probable exception of the legendary Braunstien game from David Wesely). While D@D obviously shares many elements of D&D, it’s also fascinating to see where it diverges from the Little Brown Books. You get the feeling of witnessing some kind of alternate history of the world most famous RPG. Before going further, let’s talk about the product’s format. This review is based on the PDF version, a 65-pages book. The layout is very simple, just a single column of text, with a few black and white illustrations (some quite good). The cover is the only color illustration. D@D is sold as a PDF for a fair price, in part due to the book’s page, in part due to the beautiful research behind it – this book is clearly a work of love. D@D has a stronger Sword-and-Sorcery flavor than OD&D. The basic game has two classes: warriors (with three levels) and wizards (with five levels). The name levels and main features of these classes reveal a lot of the common ground with OD&D and Chainmail. However, the differences are also remarkable. For example: Warriors gain extra attacks when they kill an opponent and can distribute the exceeding damage of an attack among other adversaries; wizards can see in the dark and cast fireball and lightning bolts at will (although at the risk of falling unconscious because of exhaustion). The D@D magic system is peculiar and – in my opinion – very “Howardian” in feel. With the exception of the three powers above, all spells of a wizard are bound to physical objects and are crafted in a laboratory. Potions, flasks, mystical powders and talismans are used as spell-holders and – surprise! – there’s no limit to the number of “spells” that a wizard can carry. The only restriction is monetary. In fact, the wizards gain XP by crafting spells (while warriors gain XP by killing enemies). Multiclassing is encouraged; you can pick another class simply by paying XP to it, instead of evolving on your first carrier. There’s a very interesting comment by Arnerson pointing that in his group most players eventually became warrior/wizards. The character matrix (or sheet) of D@D has few stats: Appearance, Brains, Cunning, Dexterity, Health, Strength (these are the character traits); Personality, Education, Level, Hit Point Value, Hit Dice, Alignment and Armor Class. The character traits range from 1 to 10 and are rolled with 2d6-2. The core system (including what we would call saving throws and general skill uses) are done by rolling 2d6-2 and getting a number below your trait. D@D has a little and very free-style skill system, called Education. Basically each player can pay XP to buy mastery over some field of knowledge (or even weapons), gaining a bonus to trait checks in this area. Personality is systemless, just a short description, while Alignments use the Chaotic, Selfish and Lawful categories. Hit Dice and Hit Point Value are radically different from what we are used to. The first determines both your chances of hitting and your damage (yes, in D@D damage is a matter of level). HD are dissociated both from level and from Hit Point Value (or HPV). In fact, in D@D most characters have few HPV (in the basic version of the game, a Warrior has a maximum of 7 HPV, but can deal 8 HD of damage). This aspect of D@D makes the morale rule extremely important, as a party’s morale can affect their current HPV – the same being valid for characters using certain magic weapons (I find this rule an excellent example of the abstract nature of hit points at the first RPGs). Combat is pretty straightforward. Initiative is determined by common sense (no roll involved). After applying various modifiers to a character’s HD, you get his Fighting Strength. After crossing the Fighting Strengths of the attacker with that of the defender (at a combat matrix), you roll 2d6 with a hit occurring when you roll equal or less to the target number. Damage is determined by rolling a number of d6s equal to the attacker’s HD. Armor begins at 1 and goes up until 8. In D@D armor negates damage instead of increasing the difficult of an attack. The defender makes an Armor Save (by rolling 2d6-2) and attempts to roll equal or below his armor. This helps to explain why damages are so high. Warrior gains a bonus on Armor Saves. There also short rules for skirmishes. The expanded version of D@D has 5 new classes and 4 races. The classes are elf mage (using a spell point system and representing not only elves, but also half-elves and humans trained by elves), merchant (with persuasion and assessment skills), priest/monk (no spellcasting, but capable of invoking miracles; a very flavorful class), sage (with curses!) and thief assassin (abilities of deceit, thievery and assassination). The races are human, halfling, elf and dwarf. In the expanded game all classes have 10 levels of progression. D@D has other (necessary and classical) elements, like equipment lists, spells, a bestiary, magic items and campaign advices – like encouraging the group to use rumor tables, fortune cards and chance cards (these last two are an interesting additions to an Old School RPG). As a living piece of game history, D@D is a fascinating read. It is also a very rules-light game, reflecting a particular style of play (thorough the book Arnerson continually highlights the importance of roleplaying instead of rollplaying), with mechanics that may sound odd to many today. However, the final result is an engaging mixture of D&D and Sword-and-Sorcery. A unique experience, heavily recommended for any Old School fan. Two new Swords & Wizardry! I like my goblins wicked... and smart!